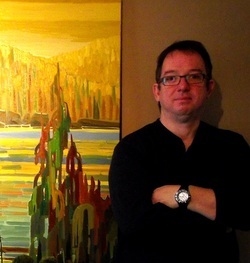 Born in 1962, Robert McAffee is a professional Canadian landscape artist, photographer and traveler. 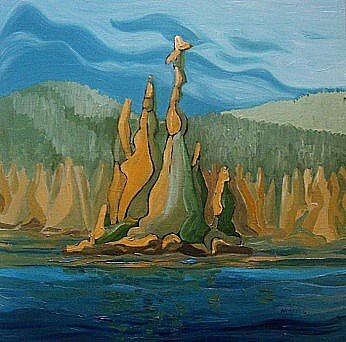 He left the Toronto Dominion Bank Financial Group (TDBFG) in 2009 after 12 years, to pursue his passion and dedicate himself full-time to travelling Canada to paint its dramatic landscapes and share them with the world. 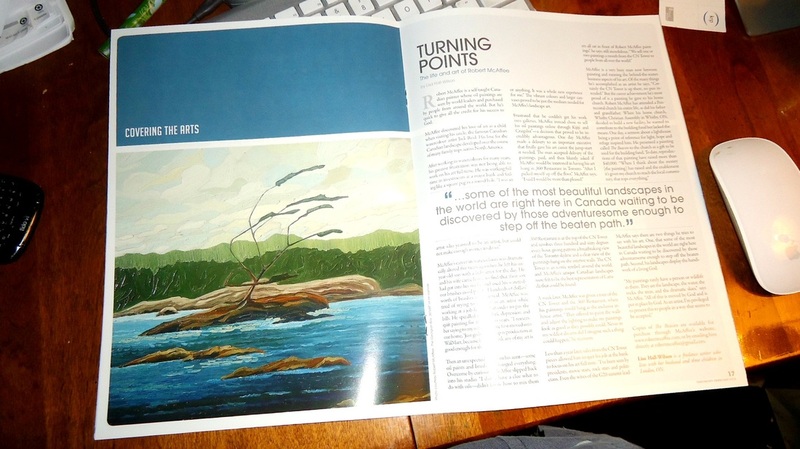 “I’ve always had a desire to draw and paint our country’s forest landscape. It’s in my bones,” says Robert McAffee. “This passion has taken me from the North Shore of Lake Superior, to the four corners of Algonquin Park, and from Canada’s Rocky Mountains to the scenic highlands of Quebec’s Gatineau Park” he adds. Before joining the TDBFG, Robert McAffee worked in photographic retail sales for 14 years with the Blacks Photo Corporation, where he gained invaluable public relations experience and honed the marketing skills that would help him showcase his artwork for a wide variety of audiences. His paintings portray an intimate vision of the Canadian wilderness that’s alive, brooding and rhythmic. With their backdrop of endless northern skies, his canvasses sing with poetic vigour and blaze with the vibrant colours of nature. “This land of ours, Canada, is so rich with wonderful geography just waiting to be captured and appreciated,” says Mr. McAffee. “Every day, I can’t wait to get out into nature to discover new landscapes. I want my paintings to be ambassadors for the stillness and beauty of nature – and for the message that it needs to be protected,” says Mr. McAffee. From 1975 to 1983, following in the footsteps of his famous uncle, watercolor painter and member of the Order of Canada Jack Reid, Robert McAffee owned and operated The Robert’s Sign Company, painting signs on vehicles, paper, wood and other surfaces for various businesses. 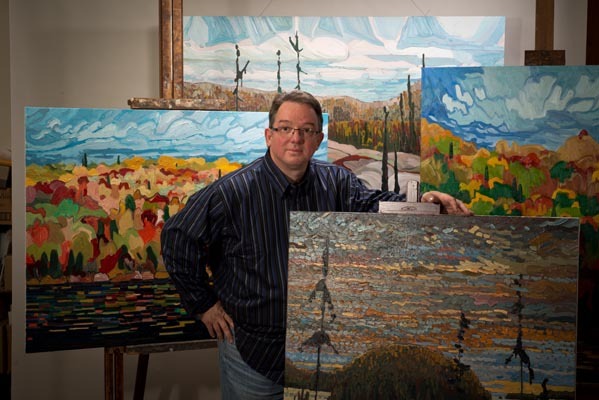 A self-taught artist inspired by Tom Thomson, Jack Reid and Claude Monet, Robert McAffee has produced hundreds of original oil paintings, and his artwork hangs in the galleries and libraries of various cities throughout Ontario, including Oshawa, Etobicoke and Mississauga. 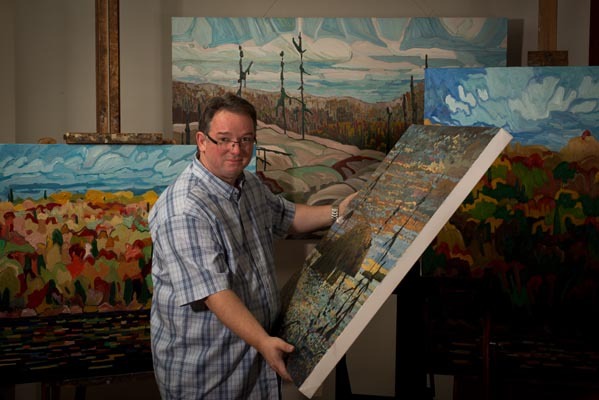 His work also graces many corporate art collections, hanging on the top floors of several of Toronto’s tallest towers, including The TD Canada Trust Twin Towers, TD Towers, Scotia Bank Tower and others. Prior to painting with oils, Robert McAffee expressed his artistic talent in watercolours for over a quarter of a century, inspired by his Uncle Jack Reid. “My uncle Jack was an icon to me. Bigger than life, and to this day the greatest watercolour artist I have ever known,” says Mr. McAffee. 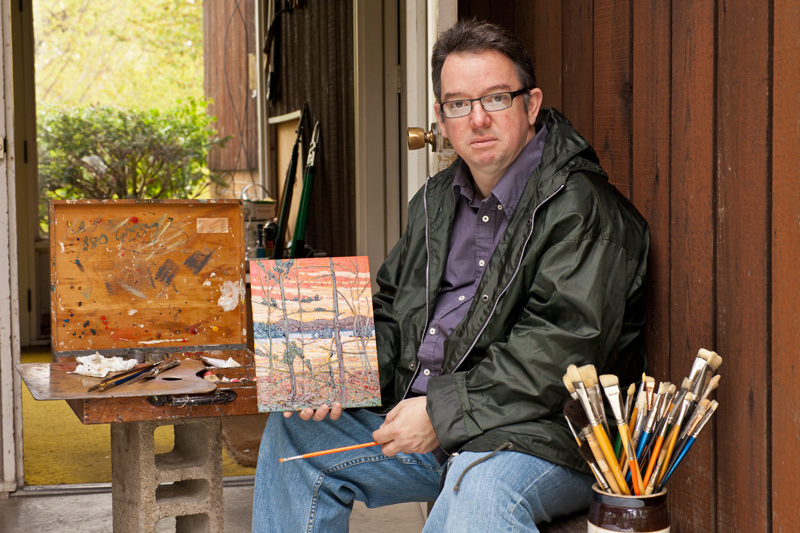 With over 35 years’ professional experience, Robert McAffee has earned a reputation as a leading landscape artist. Among his proudest achievements: being chosen to be the exclusive artist for the CN Tower’s revolving restaurant, 360, where his landscapes have been featured, appreciated and purchased by visitors from all corners of the globe and all walks of life since 2010. As a result of this unique exposure, his work has found its way into several private and corporate art collections. Mr. McAffee takes part in several art shows throughout Ontario every year, including his own private exhibition, which runs from December till the end of January at the Central Library in his home town of Whitby, Ontario. One of the finest architectural structures anywhere, the Whitby Central Library is a major attraction for visitors from around the world, including international political and corporate delegations. Robert McAffee is a proud father to his three wonderfully talented children, Ashley, Robert Foster and Nathan. He has also been a drummer for over 40 years. 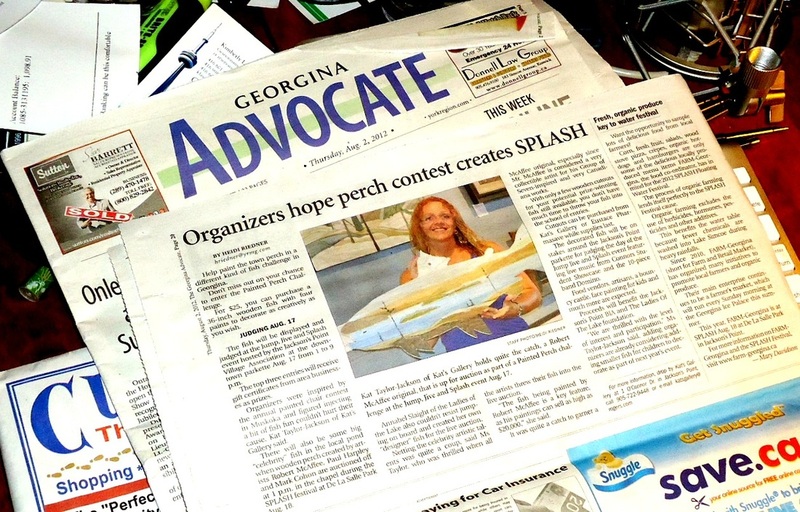 Article on Robert's Painted Perch submission to BIA fundraiser. Over a thirty five year period Robert has participated in and conducted both one man shows and group shows. Though most have been for his watercolours, lately he has shown some oils. Those showings have involved various galleries and art organizations such as Brampton Visual Arts, The Canadian Society of Painters in Watercolour associates show, Etobicoke Visual Arts, Mississauga Visual Arts, The office of Mayor Hazel McCallion (Mayor of Mississauga), and many others. 360, the restaurant at the top of the CN Tower, exclusive arrangement. 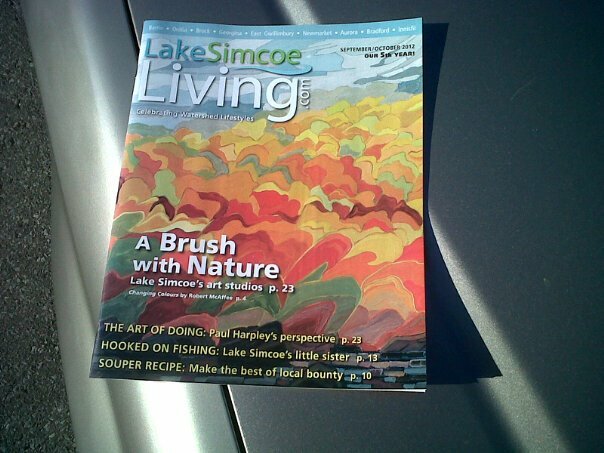 Robert shows annually throughout Ontario in various shows and art related events and Charities. 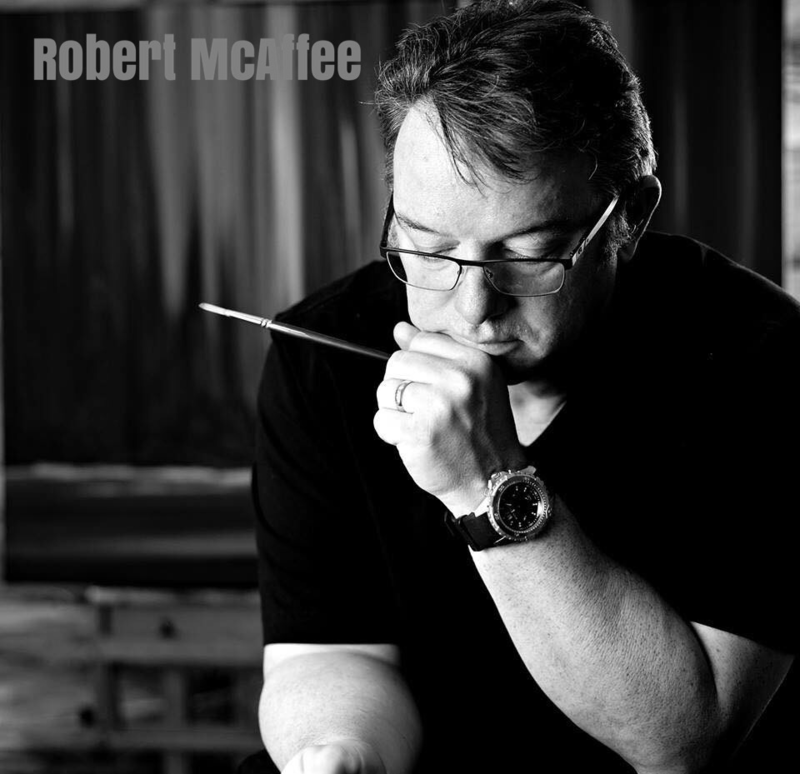 Robert McAffee is represented worldwide by various agents. 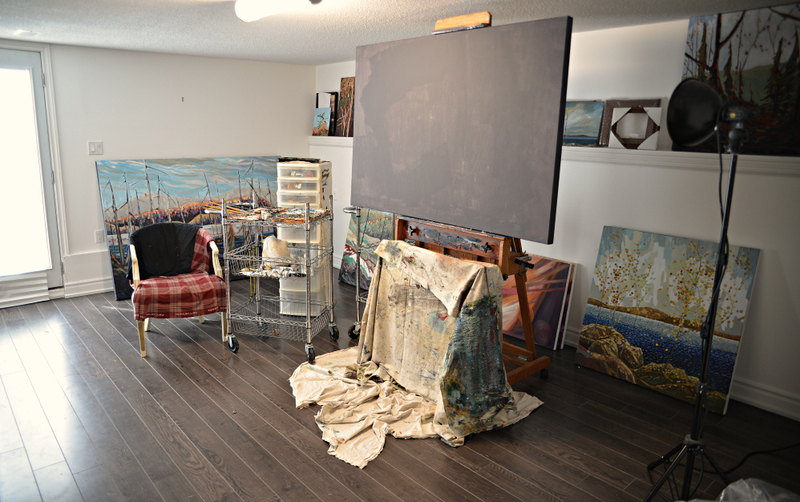 Robert is a self taught artist who's influences are first and foremost his Uncle Jack Reid, Tom Thompson, A.J. Casson, Mark Rothko and Monet. For a seven year period between 1980 to 1987 Robert owned and operated a small sign lettering company in Toronto called "The Robert's Sign Co." This experience gave Robert considerable practice with brush use manipulation of the paint on various surfaces. It also was instrumental in his current ability to complete oil paintings in short periods of time. It would be possible here on this page to list in detail the many achievements received, it is, however the wish of Robert not to do so. Yes that is my canoe, I keep it nearby for inspiration. One of Robert's two main work spaces. The piece freshly completed on the artist easle is called "In my Canoe" and can be seen on the main page of this web site.